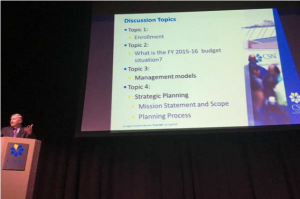 The January 15 2016 town hall included information on enrollment, CSN’s budget, management models and strategic planning. Hope your spring semester is off to a great start! This January Chronicle includes information on recent events including positive recent work force developments impacting CSN and topics discussed at the recent town hall. In December, state legislators passed a large tax package for Faraday Futures to attract the electric vehicle company to Southern Nevada. The legislation included a workforce development fund. CSN intends to apply and compete for these dollars to be the major workforce training provider for Faraday. 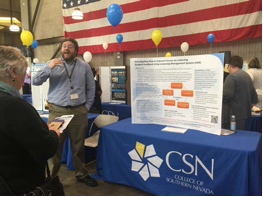 I would like to thank Dan Gouker, senior associate vice president of CSN’s Division of Workforce & Economic Development, and his team for heading up conversations with the Governor’s Office of Economic Development early on to ensure Faraday’s training needs are met by the largest and most diverse higher education institution in Nevada – CSN! 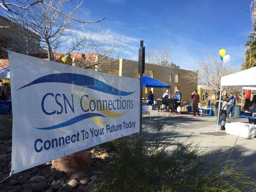 CSN Connections events took place on all three campuses this week to connect our students to the many student support services offered at CSN, including free tutoring, child care, advising and counseling and more. Thanks to all who participated to make these events a success! CSN’s spring enrollment will be down, compared to spring 2015, according to preliminary data, and will likely result in further budget cuts this fiscal year. You will receive more information about this as the semester progresses. This academic year, unfortunately, sets the bar for our state funding for the next two-year cycle, which likely means fewer dollars for the college in the coming years. I think this represents an opportunity to assess some of the biggest challenges our students face in applying, enrolling and persisting at CSN. First, we know our students are price sensitive. We are advocating for several legislative priorities, including increased funding for career and technical education and developmental courses, which are more costly than other courses. We have also advocated that the Nevada System of Higher Education (NSHE) advance a Promise program or free community college for responsible recent high school graduates, which will bring in more federal financial aid dollars for the state and likely increase enrollments. We are also seeking funds for workforce development and increased efforts to assist K-12 with college readiness. We believe these initiatives play a critical role in the state’s economic development agenda and will increase funding and support for our broad mission. tools that allow CSN to build dynamic, multi-step outreach campaigns to reach prospective students with the right message at the right time. The CRM will help us better manage each stage of the admissions process, from the student’s initial inquiry through application completion and then continue to connect with students through their academic career at CSN. It can also help us identify at-risk students in real time and connect them with valuable student services, such as tutoring. Once fully implemented, CSN will extend the reach of services to students and retention efforts through an integrated suite of student success and degree planning solutions including predictive and reporting analytics. In terms of CSN’s management model, the Board of Regents has asked me to consider different approaches to our current centralized structure to better oversee this institution and ensure local connectivity. Although enrollment is down, CSN continues to be among a handful of massive community colleges in the nation and we still retain the title of the largest higher education institution in the state. We are exploring other models, such as that of Portland Community College or the Lone Star College System in Texas that may decentralize our management structure and incite more autonomy for campuses to respond to local community economic and workforce development needs. The costs associated with such a change are part of this discussion. 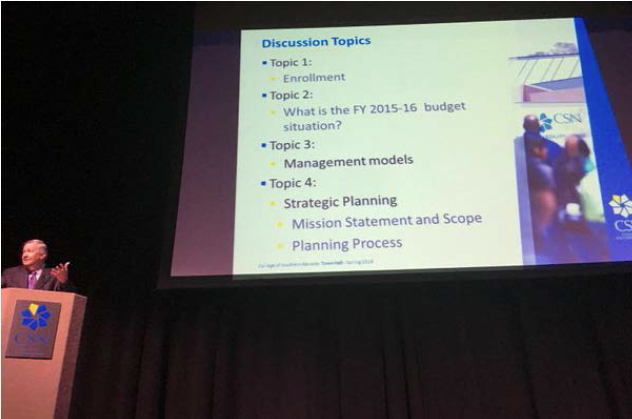 Finally, our strategic planning process to create the direction for the college’s next seven years has begun with Patty Charlton, CSN Senior Vice President of Strategic Initiatives and Administrative Services and Professor Dr. Joshua Levin co-chairing this effort. This will be an inclusive project involving a number of stakeholder groups. We look forward to informing you on opportunities to contribute in the near future. 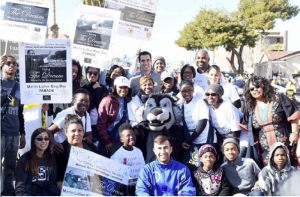 The CSN African American Heritage Committee, Black Student Association and Office of Community Relations, Diversity and Multicultural Affairs and other CSN students, staff and alumni, participated in the 34th Annual Dr. Martin Luther King Jr. Birthday Parade held in downtown Las Vegas on January 18, 2016. Thanks to all who came out to represent the college in this important community event! opportunities for more virtual engagement at the end of May. In the interim, you will be able to access the old web site and all of its forms, etc. from the new website. We will begin training for web page owners next month so that they can learn how to use the new content management system. Prestige Travel cannot book through SWABIZ and therefore will be able to access this discount. The new leased space for CSN’s HVAC program is located off of Cheyenne Avenue not far from the Cheyenne campus. 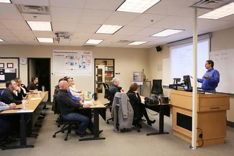 CSN has formed an exciting partnership with Switch to build an HVAC program that will train the next generation of Switch technicians to manage the temperature-control needs of the company’s hundreds of servers and expanding local operations. The company will hire eight CSN students as intern technicians every year. Once those students graduate with an Associate of Applied Science in HVAC, the company will hire them. Switch will also send existing HVAC technicians through the degree-program to build their next level of supervisors. 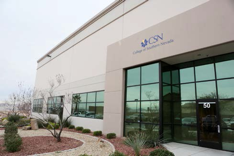 The program will include general education courses at the company’s Innovation Center in Las Vegas that will be open to Switch and CSN students. In addition to the exciting partnership with Switch, our HVAC program has expanded to a new leased site in addition to its presence at the Cheyenne and Henderson campuses. hot water and steam boiler systems, a 160-ton York Chiller, a BAC Cooling Tower, a complete sheet metal fabrication area, and more. It’s all designed to make sure CSN’s students are working with the latest technology so they enter the workforce highly skilled and ready to hit the ground running. The third annual poster fair at this year’s spring convocation allowed faculty and staff to share ideas and research on student success. Success James McCoy, is designed to help our faculty and staff discover some of the great ideas that others are already using in their classrooms and beyond. Thank you to all who participated and I hope these interactions proved fruitful to all involved. The CSN IAC has created two subcommittees, including one on performance metrics by which to gauge their own performance in meeting the charges of the Council. A second subcommittee is on Career & Curricula Alignment, and is looking at economic data and information to ensure CSN has the programs in place to meet employment needs. The Council next meeting is Feb. 9 at 11 a.m. at Cheyenne. These are open meetings and all are welcome. Please email K.C. Brekken if you would like to be on the email list to receive agendas or you can refer to their webpage for any materials or dates. At this point it is too early to tell with a number of enrollment factors still in play, including short-term course registration. We want to see what spring semester enrollment is on the census date around mid-March. We also want to see what the mix of resident and non-resident students is at that time. You may recall that students agreed to a 4 percent increase in registration fees in each year, starting in FY 2015 to FY 2019. Revenues from these fees will support incremental increases to Student Affairs and Academic Affairs staff in coordination with students and as approved by the Board of Regents. At the March 2016 meeting, CSN and other institutions will submit plans for use of fee revenues to the Regents. Over time these staffing additions will add more employees in the areas you mention and in faculty ranks. This entry was posted in Budget News, Monthly Chronicles and tagged chronicle, CSN budget, enrollment, faraday futures, Town hall, website. Bookmark the permalink.